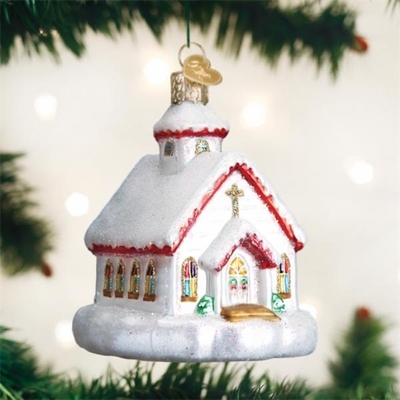 Old World Christmas Glass Ornament - "Country Church"
Home > Old World Christmas - Traditional Glass Christmas Ornaments > Old World Christmas Glass Ornament - "Country Church"
Standing in town squares, churches have long been houses of worship. In addition, churches are often the heart of the community, serving as gathering places for friends, family and neighbors. Traditional glassblowers created ornaments to reflect their day-to-day lives and styled ornaments after their community s churches.